Children First Lewisham does not provide any services - it is a charity supporting families. 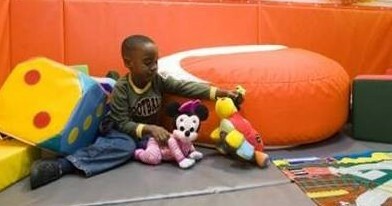 The services you may seek are based at Kaleidoscope, Lewisham Centre for Children & Young People. The two are completely different. Referral letters about therapy, mental health, safeguarding, medical referrals may be severely delayed if you send them to our Charity, although we do our best to let you know. (b) Children First Lewisham is a completely separate organisation, a charity which supports children & families and Kaleidoscope staff through the pursuance of our charitable aims. But we do not provide services at Kaleidoscope. Contact CFL here. Children First Lewisham is a Lewisham-based charity established in April 2002 to help children and young people with a range of additional needs including disabilities. The charity has played a key role in the development of Kaleidoscope - a visionary centre for children and young people which opened in November 2006. The charity has supported that vision by providing for financial backing for family-centred approaches to service provision and a child-friendly environment.